Save 20% - £11 - on this promotional pack! 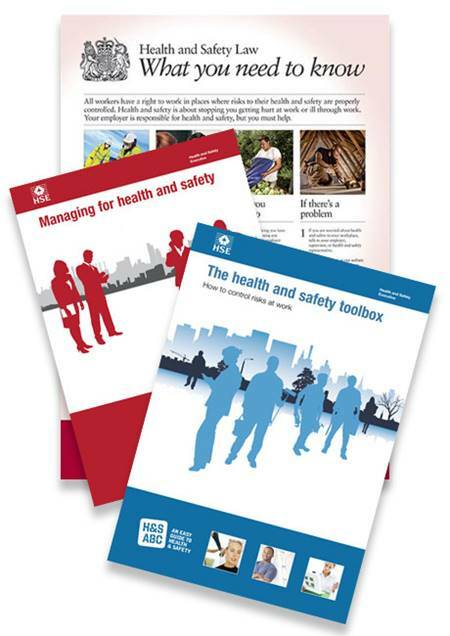 Great for SMEs, this pack brings together three key publications from HSE, essential to any business, including an A2 Health and Safety Law Poster. HSG268 is packed with simple, straightforward advice, this book covers the most common workplace hazards. It shows how most small to medium-sized businesses can put measures in place to control the risks. HSG65 builds on the practical advice in the toolbox and is one of HSE's most popular guides. The Law poster needs no introduction - All employers have a legal duty under the Health and Safety Information for Employees Regulations (HSIER) to display the poster in a prominent position in each workplace or provide workers with a copy of the equivalent leaflet. The Health & Safety Executive (HSE) has published a new, simplified version of the Health and Safety Law Poster. All employers have a legal duty under the Health and Safety Information for Employees Regulations (HSIER) to display the poster in a prominent position in each workplace or provide workers with a copy of the equivalent leaflet.